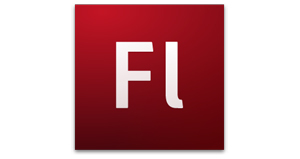 Although Adobe Flash 10.1 is still in developer beta stages, the developments signal a focus on mobile devices for 2010. Flash 10.1 introduces compatibility with multitouch gestures and vastly decreased system resources required for flash playback. Essentially, it’s a step toward a complete Flash experience for mobile operating systems. less system resources that drastically preserve battery life. Although some smartphones are already capable of flash playback like the Nokia N97, adoption has been slow to assumingly preserve user experience. According to Adobe, Flash 10.1 is the first release that “enables uncompromised web browsing of expressive applications, content and video across devices”. Adobe has already confirmed that Flash is coming to WebOS in the first half of 2010 — a beta version later this year (see it in action). They’ve also announced that Flash for Android 2.0 will come in 2010 and an agreement with RIM to bring Flash to the BlackBerry. Also noted were Windows Mobile 6.5 and Symbian. Once all these devices are Flash capable, we can expect to see one version of an application developed that is capable of running on them all. Essentially anything running a compatible version will be capable of running all the same applications, desktop or mobile. This means the introduction to cross platform in-browser applications. It doesn’t end at Flash browser applications. Streaming media that uses Flash will be accessible from your mobile device within the browser. How will carriers respond to streaming media that is against their TOS? If you’re feeling antsy, you can download the 10.1 desktop developer beta here. This version is a pre-release that is meant for developers and there are certainly things that need ironing out. I can can’t count the number of crashes I’ve already experienced on sites like YouTube and Hulu. I’d recommend holding off for now despite any system performance improvements that come with the install. What do you think of Adobe’s latest strategy of cross platform mobile compatibility? Will Apple change their stance? Could this lead to larger, cross platform app stores that are accessible from any of your devices? Share your insight in the comments.